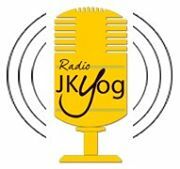 JKYog Radio is live broadcasting from the USA. JKYog Radio broadcast various kind of latest spiritual music. 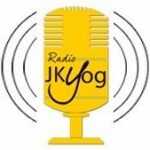 JKYog Radio is a one of the most famous online radio station on USA. The music of the United States reflects the country’s multi-ethnic population through a diverse array of styles. It is a mixture of music influenced by West African, Irish, Scottish, Mexican, and Cuban music traditions among others. The country’s most internationally renowned genres are jazz, blues, country, bluegrass, rock, rhythm and blues, ragtime, hip-hop, barbershop, pop, experimental, techno, house, dance, boogaloo, salsa, and rock and roll. The United States has the world’s largest music market with a total retail value of 4,898.3 million dollars in 2014, and its music is heard around the world. Since the beginning of the 20th century, some Forms of American popular music have gained a near global audience. Native Americans were the earliest inhabitants of the land that is today known as the United States and played its first music. Much of modern popular music can trace its roots to the emergence in the late 19th century of African American blues and the growth of gospel music in the 1920s.